Toronto Wedding Photography First Glance by Storey Wilkins Photography. Photographed in Lawrence Park at the bride's family home. This was the moment he saw her for the first time on their wedding day. 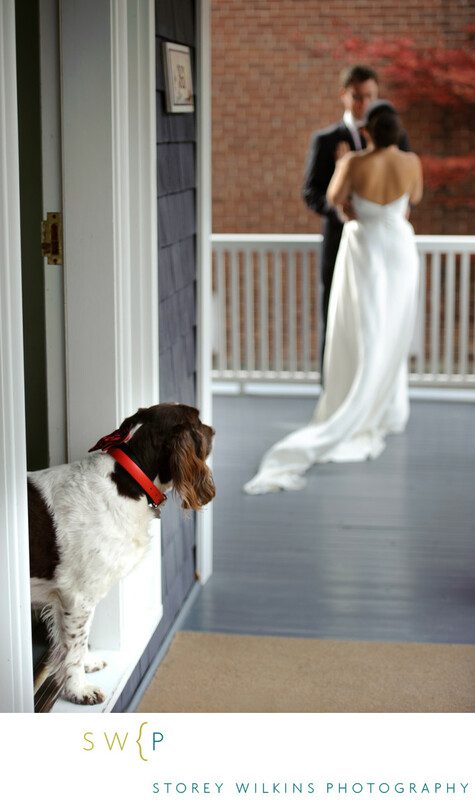 Right during this intimate and lovely moment, her dog appeared int he doorway just quietly watching the moment unfold. I consider this capture a gift. I could not have scripted the appearance of the beloved dog. Natural Thoughtful Emotional Wedding Photography by Storey Wilkins Photography in Toronto, Ontario Canada.